At MWC 2017, Virtual Reality, Augmented Reality and Depth Sensing will be some of the most important topics. Just in time pmd announces some corresponding new devices and Software features: Besides a unique new SW feature, the mixed mode, for the CamBoard pico flexx, pmd is happy to announce two new members of the CamBoard pico family, the CamBoard pico maxx and CamBoard pico monstar. Both will extend the portfolio of applications, so that developers can achieve best possible results for every single use case. The new Camboard pico maxx was developed with a focus on Use Cases in VR/AR and robots. It features a large 100x85 FoV, 352x287 pixels and frame rates up to 60fps. The one thing that wasn’t “maxxed out” was power consumption. The CamBoard pico maxx is USB-powered and is ready to be plugged into your favorite device. The CamBoard pico monstar is pmd’s most powerful and versatile depth sensing system currently provided. It features the same FoV (100 x 85) and pixel count (352 x 288) as the maxx but also delivers a massive 6m range, while still powered via USB. Surveillance and people counting are obvious use cases. Additionally, pmd launches a revolutionary new SW feature for the CamBoard pico flexx: The mixed mode. With the next Royale release each pico flexx will be enabled to operate in a completely new way, which is virtually turning one pico flexx into two cameras at the same time: A short range 50fps camera for touchless interaction and a 5fps long range camera for environmental sensing. While pmd’s technology is known to enable touchless interaction and environmental sensing, it is the first time that these two use cases are usable via one camera without any additional efforts. 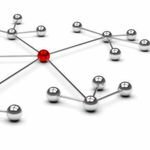 “We look forward to see what you can create with these amazing new devices and software features, now that we’re able to deliver the perfect fit for each field of view, range, size or framerate. 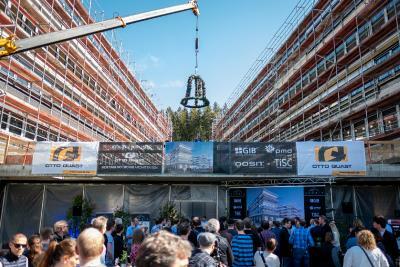 And we’re more than excited what all the developers will do with it!” says Jochen Penne, Executive Board Member. 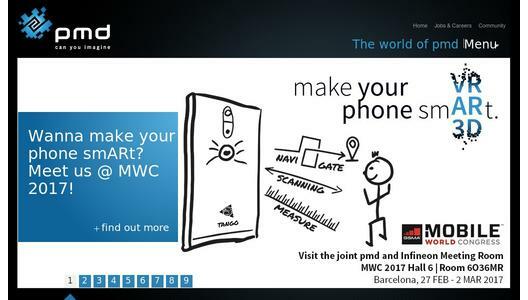 If you are interested to schedule a meeting at Mobile World Congress with pmd to learn more, please write a message to events@pmdtec.com. More information of the new CamBoard pico family members can be found on www.pmdtec.com/picofamily. 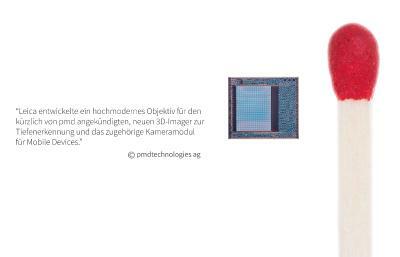 pmdtechnologies ag, a fabless IC company based in Siegen/Germany and San Jose/USA, is the worldwide leading 3D Time-of-Flight CMOS-based digital imaging technology supplier. Started up in 2002, the company owns over 150 worldwide patents concerning pmd-based applications, the pmd measurement principle and its realization. Addressed markets for pmd's 3D sensors are industrial automation, automotive and the wide field of consumer applications like AR/VR. Further information is available at www.pmdtec.com.